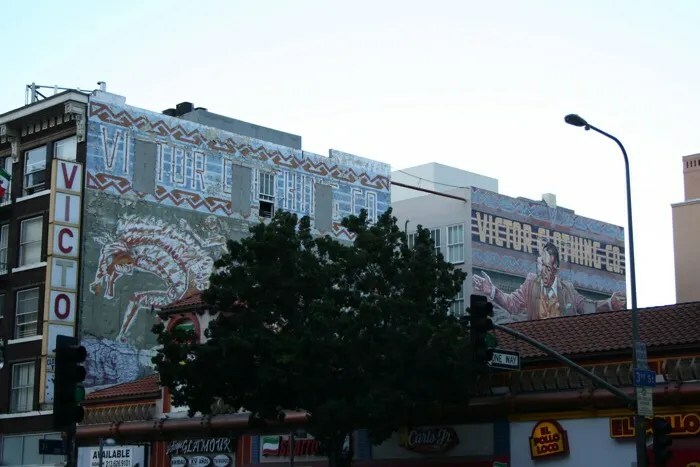 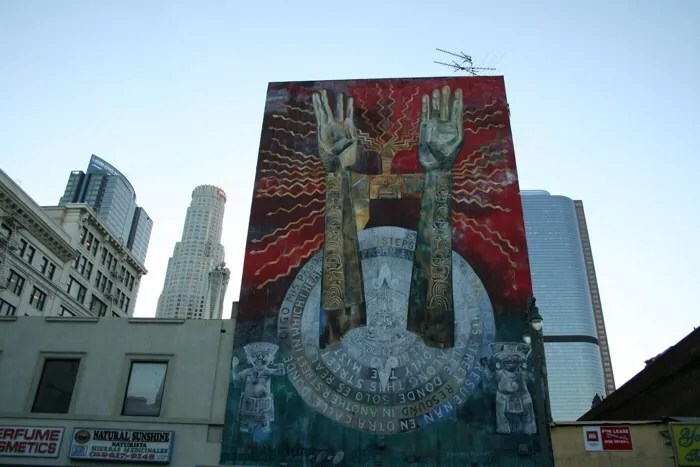 This section shows murals in Downtown Los Angeles including The Pope of Broadway (1985) by Eloy Torrez located at 242 South Broadway (view map). 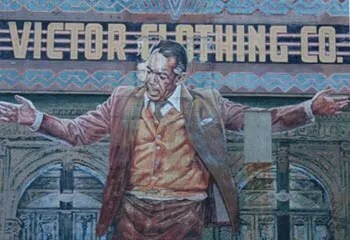 This mural is a tribute to Anthony Quinn who grew up in the Boyle Heights and the Echo Park areas of Los Angeles. 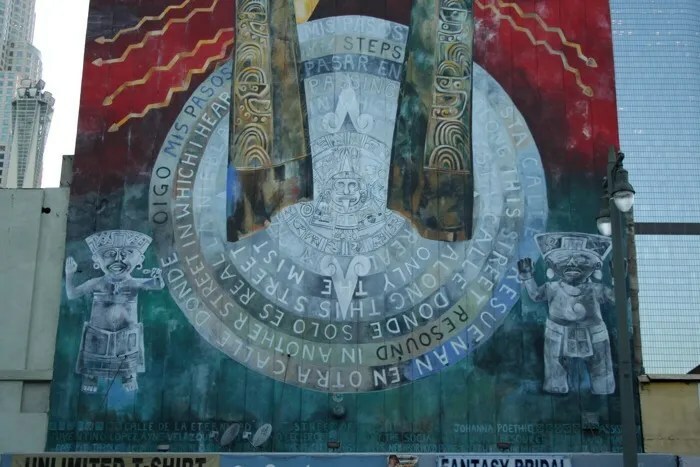 The geotagging below will show this mural at the street level view on 3rd Street. 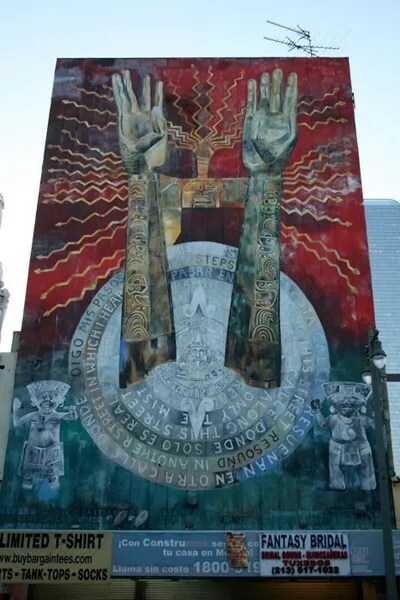 Calle de la Eternidad (Street of the Eternity) (1993) is located at 351 S Broadway created between 1992 – 1993 by Johanna Poethig. 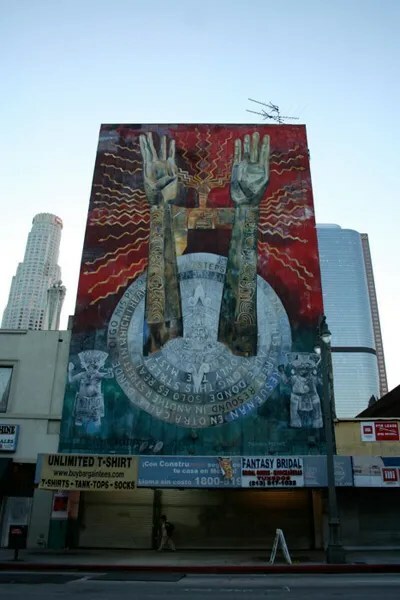 Assisted by Juventino Lopez, Ayna Velazquez and Gustavo Leclerc. 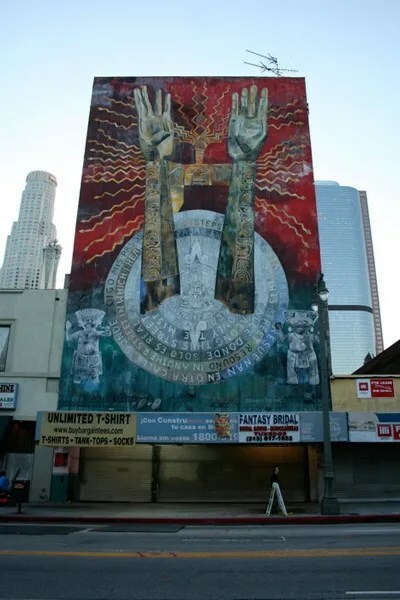 Also in the area is the Los Angeles Broadway Theatre District. 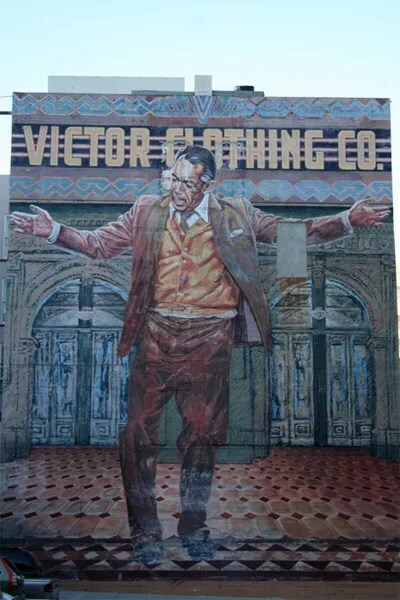 Learn more in this article about the Los Angeles Theatre.